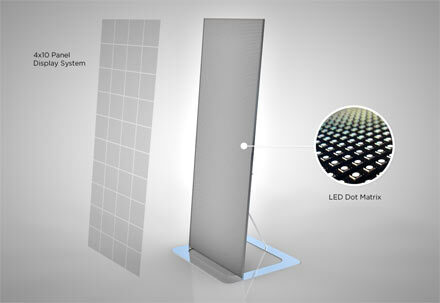 Stand or Wall LED Panels. How to increase the effectiveness of your communications activities? The LED Wall has become an essential communication tool in the biggest retail stores, thanks to the ability to convey the promo "messages" in a more visibile way. 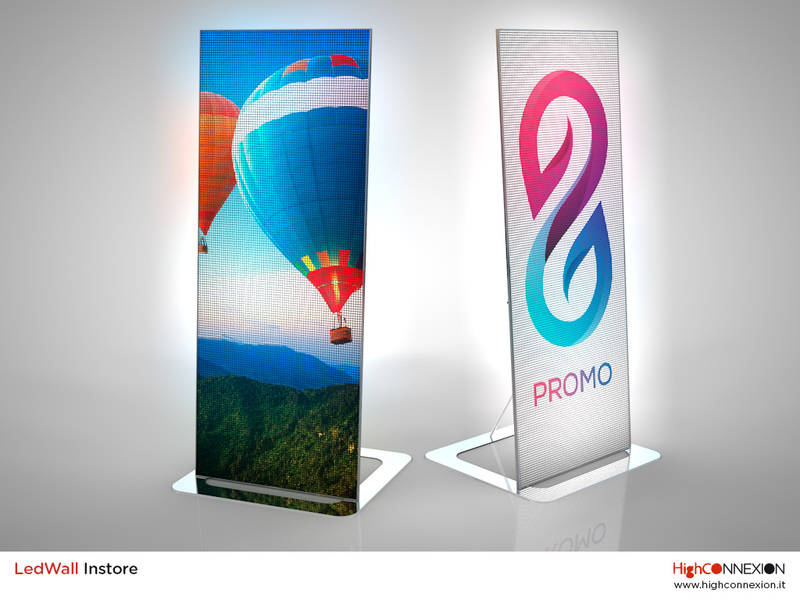 LED Wall capabilities can be greatly increased by connecting the device to the Internet: the panel is activated by the passage of the bystander, creating an "engagement" with the Shop, in order to trasform the onlooker in a new customer. It has never been easier to Generate new instore leads, send "customer-tailored" digital coupons, spread "viral "contents and create interactions with your customers! HDMI and DVI video input. Size: 190x80cm. 40.000 LEDs! Optimum visibility at any distance, up to 60 meters!. Optimum visibility at any distance (3 to 60 meters). 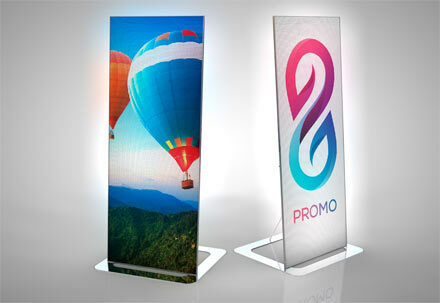 Size: 190x80cm, 40.000 RGB LEDs. "Customer Engagement" via custom messages that can be set through a web console. WiFi recognition system: the Customer is "identified" through the Store WiFi, and receive a personalized visual message. 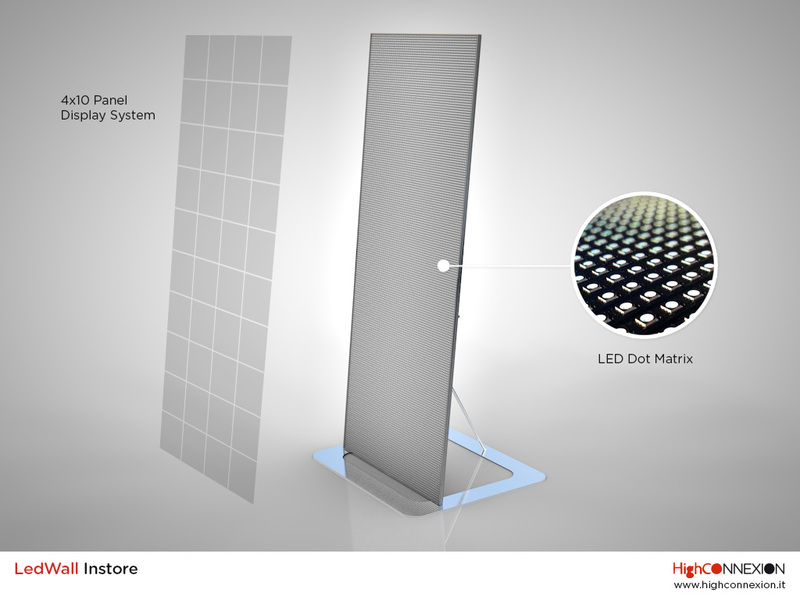 Contact us now to request informations about the Led Wall Instore.